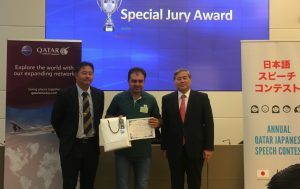 Chiyoda Almana, a leading local integrated project services provider for hydrocarbon and non-hydrocarbon sectors in Qatar, has received ISO 45001: 2018; Occupational Health and Safety Standard certification from Bureau Veritas International, in addition to the recertification of the ISO 9001:2015 and ISO 14001:2015. Junji Nagasaka, managing director of Chiyoda Almana, has received the certification from Bureau Veritas representatives led by Selim Kseib, country chief executive at an event held to celebrate the first successful collaboration between Chiyoda Almana and Bureau Veritas, a global leading firm in testing, inspection and certification. 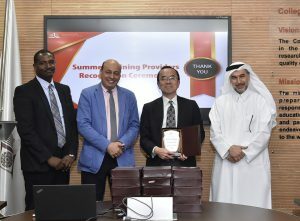 “Chiyoda Almana has been certified for ISO 9001, ISO 14001, OSHAH 18001 and ISO 27001 since the beginning of its operation in Qatar in 2008 but today we celebrate the fruitful collaboration for recertification with leading third-party certification body Bureau Veritas, which marks another step we take to improve our projects delivery and business practice to meet our clients expectation and to maintain our position as a reliable project lifecycle services provider in Qatar,” said Nagasaka. 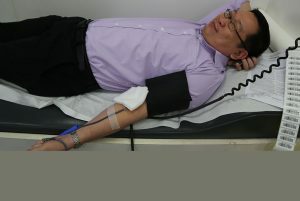 Kseib said these certifications truly reflect the high level of commitment and leadership from Chiyoda Almana to benchmark best international practices in management systems. 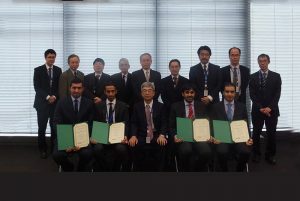 Chiyoda Almana is the local subsidiary of Chiyoda Corporation of Japan who has been active in supporting Qatar’s energy development since the 1970s, including the delivery of EPC projects for 12 of the 14 LNG trains that have been taken up in Ras Laffan. Chiyoda Almana has over 11 years of operation in Qatar through the delivery of more than 320 projects ranging from engineering-only to full EPC/EPCm in the fields of liquefied natural gas, oil and gas, petrochemicals and environment to major energy operator in the country.